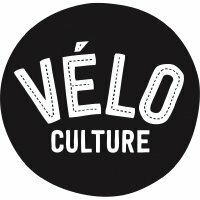 Velo Culture Soft Cell is a great name for a mobile phone case made of resilient, shock absorbing rubber sourced from recycled bicycle inner tubes. Investing in such a well-designed case might save you from paying for an iPhone screen repair one day. The case is lined with up-cycled cotton so that your screen has a smooth surface next to it and your phone slides in and out easily. A built-in Velcro tab prevents the phone slipping out of the case. There's an extra slot for storing a folded fiver and a credit/debit card or bus pass. This might save you carrying a wallet when you want to travel light. Large size - takes phones up to iPhone 6 and 7 size. The inner tube used to make this phone case might have a patch on it, and it could be stamped with the tube's size or the manufacturer's branding. We think this helps guarantee that every Velo Culture Soft Cell case is truly unique. 'The Soft Cell is Velo Culture's uniquely designed smartphone case. These one piece inner tube cases are lined with up-cycled cotton so that your screen has a smooth surface next to it and your phone slides in and out easily. They have a built in Velcro flap to ensure that your phone is enclosed and protected whether it is in your bag, coat or the rear pocket of your cycling jersey. We've used these ourselves since their conception and found they have done a fantastic job of keeping out some of the harshest north eastern elements while we've been out riding. A slot on the rear of the case allows you to pop a credit card or a folded bill/note too. Each case is unique and some tubes used may have patches or factory branding/sizing marked on them.